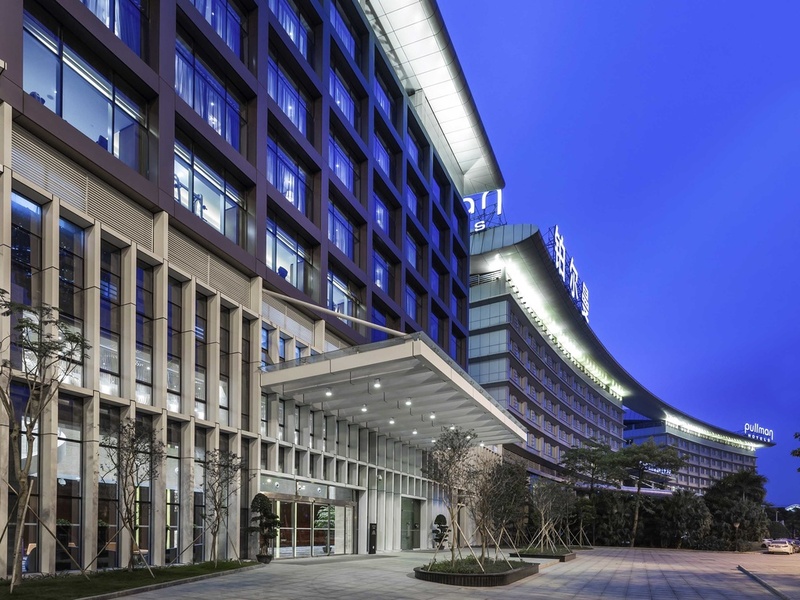 Pullman Guangzhou Baiyun Airport is ideally located in the heart of the Guangzhou Baiyun International Airport. It's a 15-seconds walk to Gate 12 of T1 Departure Hall, the Hotel provides 578 exquisitely furnished rooms, 3 unique restaurants and bar. The hotel provides shuttle bus runs every 20-minutes to Terminal 2 Departure Hall. Reservation of Deluxe Room type or above can enjoy the Private Gallery Bridge pick-up service and Executive Room type or above can enjoy the Private Tarmac pick-up service. Relax in space and style. Rooms at magnificent Pullman Guangzhou Baiyun Airport feature double glazed windows for silence, large plush beds, in-room fitness options, WiFi Internet access and LCD TV and satellite channels, ensuring a truly enjoyable stay. The restaurant serves a wide selection of classic Cantonese & creative Chinese cuisine and has 18 variously sizes VIP rooms for any kind of event. U8 Action Cuisine Restaurant offers casual all-day dining with both a la carte and buffet options, showcasing a selection of international dishes. Guests can expect a relaxed, friendly environment and incredible, authentic food. A relaxing place for unwinding, business chats or flight connections, serving a variety of international beverages and snacks.